Hi, I'm Angela and I am Empowered Crystals. I make Reiki attuned Crystal jewellery and homeware. I am a small one woman business and started out making crystal jewellery that I wanted to wear and couldn't find. I now specialise in finding those raw and rare crystals and minerals that are hard to find and especially hard to find in the form of jewellery. 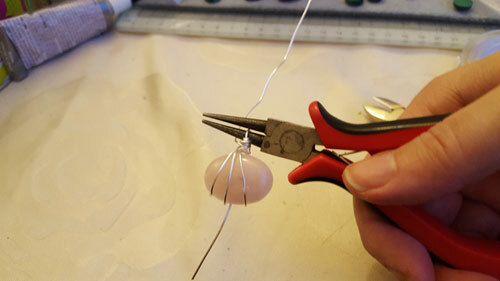 I usually make jewellery and homeware using wire wrapping, but I also make a more contemporary style of jewellery by setting stones into pre-moulded bases. For my larger stoneware I hand paint the stones with glass paint. 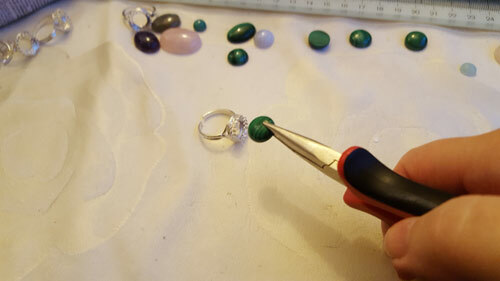 This process is quite lengthy due to the size of the stones and the drying times involved. I only use genuine semi precious stones and minerals, most of which I hand pick from a UK supplier that has been established for more than 50 years, who are very experienced at sourcing genuine stones, buying directly from the mines. I cleanse each stone then attune to Reiki and program with sacred Reiki and Angelic symbols.